VanArts Game Art & Design graduate Shubhomoy “Shubu” Ghosh, from Pune India, has leveled up in his career. After graduating in 2013, Shubu began working as a CG Modeler & Texture Artist at ICON Creative Studios, one of the fastest-growing studios in Vancouver, focusing on CG television series, features and game trailers. After three years at ICON, Shubu has now been promoted as a Modeling Supervisor, giving him the responsibility to hire new artists. This is good news for our senior students, who will soon be applying to enter the work force. As a way to start putting feelers out for fresh talent, Shubu paid a visit to our current students last week. Prior to studying at VanArts, Shubu received a Bachelor of Science in Multimedia in India. He then came to our Game Art & Design program to learn under the intensive studio-based training that we excel in. In this video, senior instructor Izmeth Siddeek and Shubu talk about his new opportunity and how VanArts helped him get to where he is today. Shubu is among many VanArts alumni that have been promoted to supervisory positions. 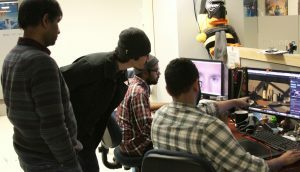 Alumni at places like Bardel Entertainment, Archiact Entertainment, and Electronic Arts are now in hiring positions, able to fill their teams with artists to meet production demand. As a result, salaries for these successful graduates are easily climbing from entry level into near six-figures in as little as a few years after graduation. We are happy to hear from Shubu and all of our alumni who have worked hard to excel in their careers. 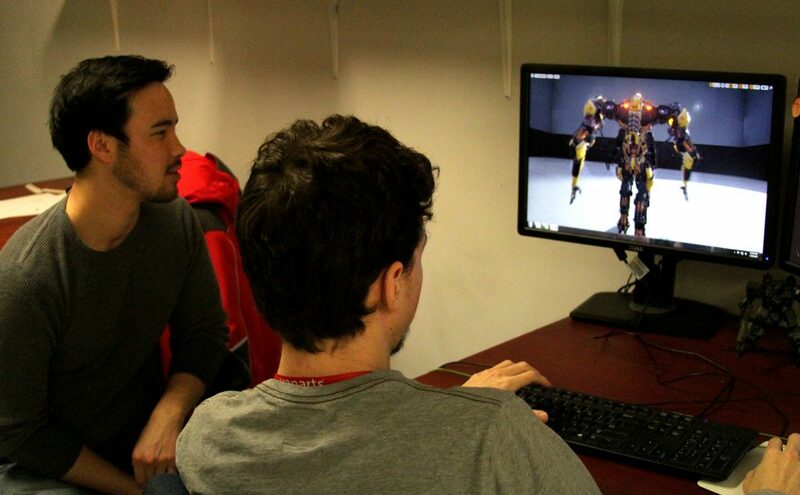 This hunt for talent, combined with an intensive industry focus and vigorous networking on behalf of our faculty, has resulted in a hiring boom for our Animation, Game Art and Visual Effects alumni. As of the date of this article, Electronic Arts currently employs at least 15 VanArts graduates and ICON Creative is bursting with at least 20 graduates. Added to this are hundreds of others who have started their first jobs or moved on to other studios and projects. With such great career opportunities and high demand in games, visual effects and animation, what better time than now to launch your new exciting career! Contact us today to get started. If you are from India and want to meet us at our upcoming Info Session Tour or speak with our advisor Gautam Modkar, visit our section on Admissions India.